We interview Simon King about his new book, Nature Watch. 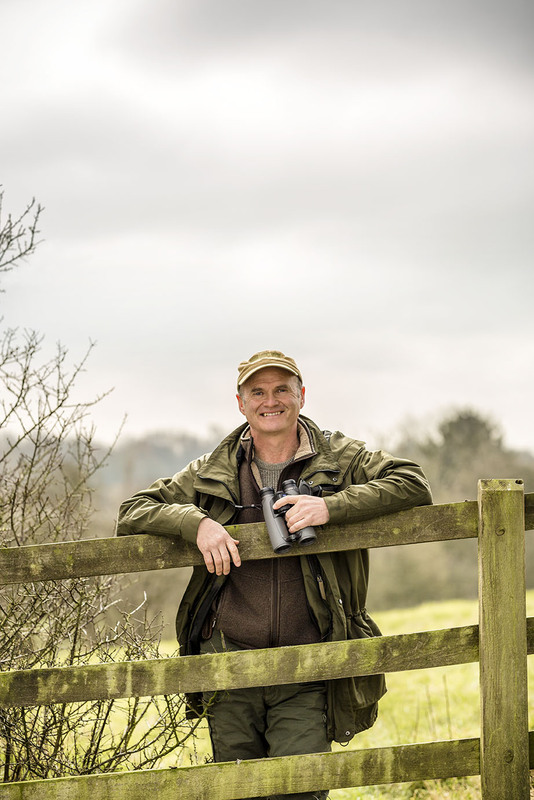 Known to millions as a presenter of the BBC’s Springwatch, Autumnwatch and Big Cat Diary, he is one of the world’s leading experts in field-craft, wildlife watching and wildlife photography. Simon has worked as a natural history filmmaker for almost 30 years, on TV programmes such as Planet Earth, Life and Blue Planet. He has received an OBE, EMMY, BAFTA and RTS awards for his work. What was the motivation behind writing Nature Watch? Nature Watch is the result of a lifetime spent in the woods, fields, rivers and coasts of Britain trying to close the gap between my human form (regarded as enemy number one by many wild creatures ) and my natural neighbours. I hope that, by giving readers the tools to read the signs animals leave behind and the skills they need to get good views of those creatures, I can help foster in them a sense of wonder, thrill and ultimately care for the natural world. How did you decide what to leave out of the book!? The chief deciding factors behind what I left out of the book were the limit to the number of pages available and time! I could have continued, and would still be adding to it now. I decided to focus on those creatures most likely to leave visible signs in the field and those for which key field craft skills aid exponentially in their observation. There is so much more I want to share… in my next book. What are the best ways to get started observing and exploring wildlife, particularly related to encouraging children to pursue their love of nature? Get started with creatures that are relatively unafraid of humans. Watch squirrels in an urban park, frogs, toads and dragonflies in and around the garden pond. Make collections of natural treasures (within the bounds of decency and the law) like feathers, empty egg shells, skulls and the like. Every physical connection we make with the world about us helps cement the bond we have with the earth. What’s the first step for those interested in beginning to photograph wildlife? Get photographing! Access to devices that can capture a good image has never been easier. Smart phones now have cameras with the same or better level of resolution and dynamic range as was seen in professional DSLR cameras only a few years ago. Experiment with your point of view and, most importantly, always put the welfare of your subjects above any image you are trying to capture. Which is your favourite part of the book (the bit you enjoyed writing the most)? I’ve loved working on every section of the book. I get a genuine thrill out of sharing the hints and tips I’ve developed over the years, in the hope that others can make the same connection with the natural world as has been my privilege. Drawing the footprints was an exciting challenge. So many images of animal tracks are based on illustrations that have been made before, and, over the years, a sort of ‘image Chinese whispers’ occurs, with errors becoming magnified. All the drawings of footprints are made based on my own direct observations – for better or worse! And of course, capturing the photographic images of the wild characters I know and love has been a real joy. What are your top tips to help conserve Britain’s native wildlife? It may sound like a distant link, but choosing carefully the way you spend your money will make or break the future of wild Britain. Every time we fill up the trolley at the supermarket we are causing ripples, often across the planet as a whole, not just in our own back yard. Choosing produce which does not come from intensive factory farming techniques, choosing organic, choosing locally sourced, cutting down the amount of meat products we consume, will all help relieve the relentless and unsustainable pressures we are placing on our countryside and its natural denizens, not to mention our own health and wellbeing. The pound in your pocket is the most powerful tool in your arsenal when it comes to changing the fate of wild creatures. Understand the difference between value and price, and you will have gone a long way to living differently, treading more lightly, and feeling a part of the web of life that sustains you.